What’s all the GOOP about? 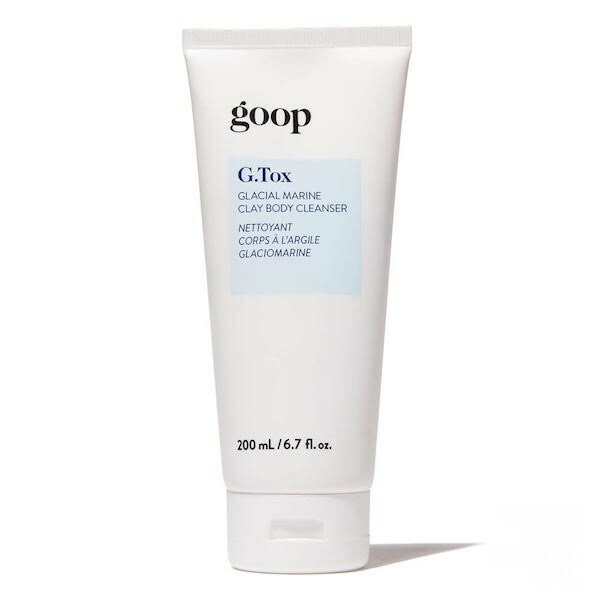 GOOP is the ubiquitous modern lifestyle brand powered by powerhouse oscar-winning actress and author Gwyneth Paltrow. Initially launched in 2008 as a weekly e-mail newsletter offering readers articles on health and wellness that inspired Paltrow herself to live a better life, it has now morphed into a colossally fabulous multi-product brand covering beauty, food, fashion, health and MORE, including online shopping, and full-on complementary print magazine (gotta love that) in addition to the much-adored articles and videos. And now, even more spectacular for us consumed Canadian Goop Gals, the brand has landed North of the border and delivers to Canada! When Goop recently made its big Canadian debut in Montreal, I had the pleasure of being on set with the SCOOP team in my professional capacity as hair and makeup artist and, as of this first post, official contributor to the Diary of a Social Gal website (though I’ve led several creative teams for Diary editorial shoots and already feel like a member of the family ;)). The team had flown in from GOOP HQ in L.A. (were else?!) to film content for their upcoming Canadian launch and had all kinds of good GOOP-worthy MTL activities in the works for their five-day stay at Montreal’s ever-chic and trending W Hotel. TOPPING the Agenda: segments with amazing food editor Caitlin O’Malley, who had the well-curated 411 for foodies interested in making their way to the gastronomic mecca, as well as fun and laid-back shoots with three popular homegrown beauty and wellness influencers, Drea Wheeler, Samantha Cutler and Julia Mateian, all of whom had a blast unpacking GOOP gift packs awash in GOOP goodies suited to their their active lifestyles. (A mere peek into their respective insta-worlds underscores just how active they are. #INSPIRATION). LUMINOUS MELTING CLEANSER: Winner of Allure’s Best of Beauty Award (a huge deal in product world), this solid cleanser allows you to remove dirt and makeup post parties without the need for water (nirvana in time-starved scheds and when you’re pretty much done at 3 a.m.). It’s also perfect for throwing in the gym and/or travel bag without any worry about leaks. 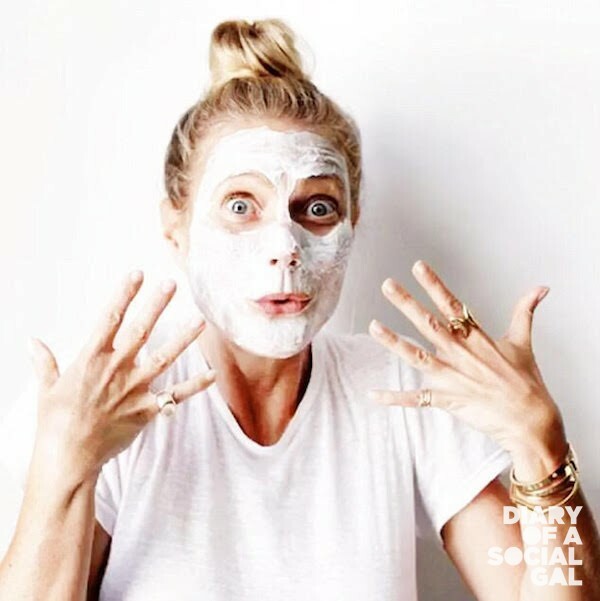 EXFOLIATING INSTANT FACIAL: Packed to capacity with alpha and beta hydroxy acids and plant-based cellulose beads, this exfoliating mask is so rockstar that Gwyneth makes it a daily ritual. Though I signed up for the prescribed two to three times per week, I get it. Think complete complexion reboot, all glowy and ready to “face” anything the day brings your way (excuse pun). 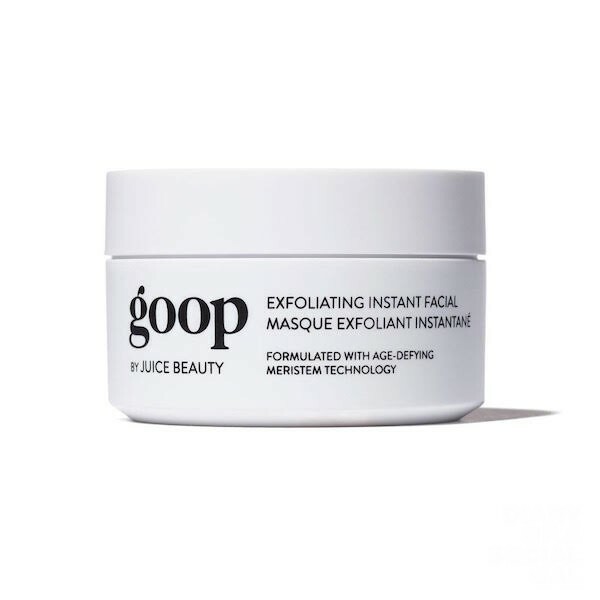 GOOPGLOW MORNING SKIN SUPER POWDER: As is the 2018 way, skincare no longer happens from solely the “outside-in.” Case in point: this incredibly effective orange flavoured free-radical fighting vitamin-packed powder in convenient single-dose sachets. Merely add water to drink your way to glowing Social Gal and Gent skin. 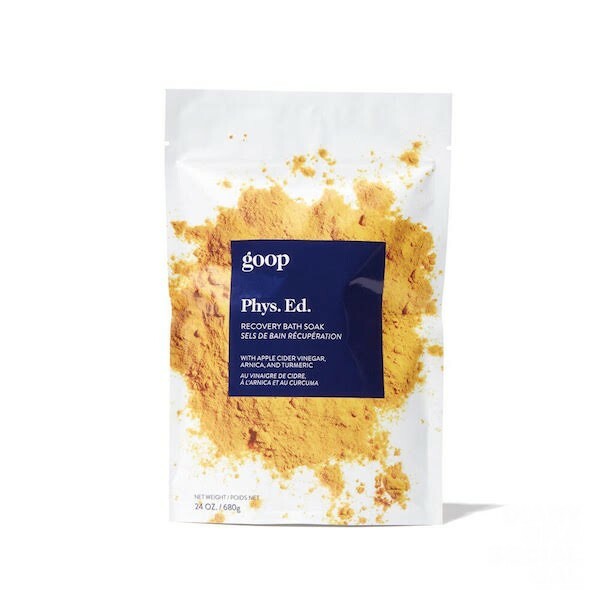 The GOOP SCOOP: Drea loved the packets so much she made them a gym bag essential, an impressive commitment from the fitness guru/co-owner of Westmount’s popular gym Vic Park, who routinely sees and tries it all. G.TOX GLACIAL MARINE CLAY BODY CLEANSER: I have to side with Julia on the verdict here. The blend off helichrysum, rosemary, grapefruit and peppermint not only intoxicate (upping the luxe experience to a euphoric place), but the glacial marine clay and mineral infused cream detoxifies and purifies as well as it moisturizes. A luxury wash like no other. PHYS. ED RECOVERY BATH SOAK: In an era where days are so busy they seem like weeks (hello fellow working moms), multi-tasking products that allow us to relax while they do their magic are heaven-sent, like this stress-busting, muscle-soothing recovery soak reinforced with potent natural ingredients including dead sea salt, apple cider vinegar, arnica, tumeric and a blend of essential oils. Post workout and looong day, you’ll want to soak forever. Thanks for the pamper perfection, GOOP. Welcome to Canada. 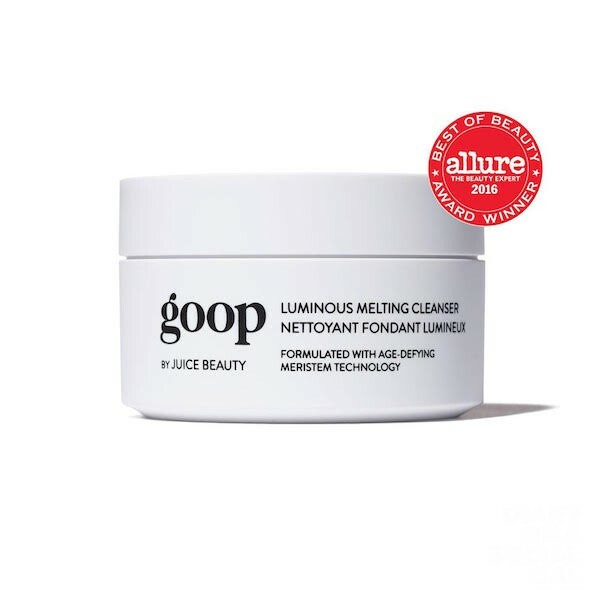 GOOP beauty and wellness products are available at shop.goop.com.